(Natural News) What if you could turn carbon dioxide (CO2) – a common air pollutant produced by burning fossil fuel – into an alternative source of energy? 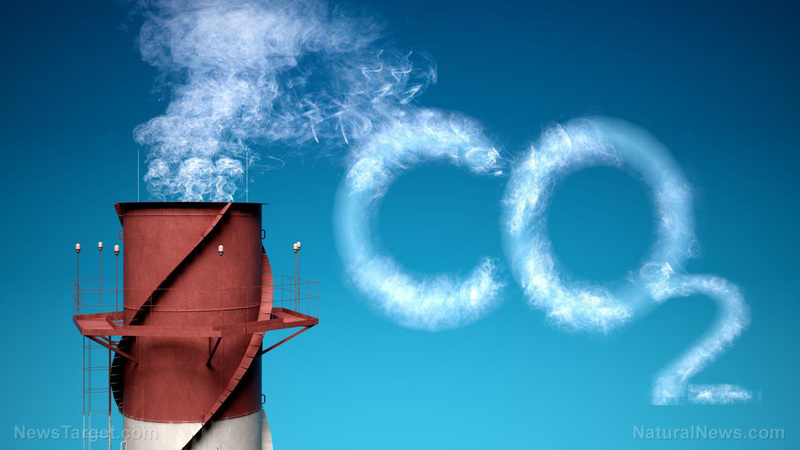 Austrian researchers have reported creating a new form of CO2 with the use of lasers, according to an article on ScienceDaily. Chemists have long dreamed of converting CO2 in the atmosphere into a basic material that can be used by the chemical industry. This would reduce both air pollution levels and the reliance on fossil fuels. A research team from the University of Bonn (UoB) used powerful pulses of laser light to create a highly reactive form of carbon dioxide in the laboratory. While waiting for the printed version of their study to appear on the journal Anewandte Chemie, the Austrian physico-chemists also published their findings online. The team took cues from the natural process of photosynthesis, where plants use sunlight to transform CO2 and water into chemical energy in the form of sugar, with oxygen as a by-product. The primary difficulty in working with CO2 is that the compound is highly inert. The air pollutant is very resistant to bonding with other molecules. However, Dr. Vöhringer and his team found a way to increase CO2’s reactivity. They did this by employing an iron complex, a molecule where carbon and oxygen atoms are bonded to a positively charged atom of iron. The researchers bombarded the iron complex with ultra-short pulses from an ultraviolet (UV) laser. The UV light disrupted certain chemical bonds, allowing the carbon and oxygen to break away from the iron and combine with each other. The end product is a CO2 radical. Compared to normal CO2, the radical version is highly reactive due to possessing an unpaired electron in its outer shell that eagerly wants to bond to another molecule or atom. “It is this unpaired electron that distinguishes our reactive radical anion bound to the central iron atom from the inert carbon dioxide and makes it so promising for chemical processes,” says Steffen Straub, a member of Vöhringer’s research team and lead author of the study. The reactivity of CO2 radicals could be used to create useful products. Some of the possible chemicals include the simple alcohol fuel methanol (CH3OH), the ammonia-rich compound urea (NH2CONH2), and the pain-killer salicylic acid (C7H6O3). Researchers carefully observed the new CO2 radical through laser and infrared spectrometers. These devices identified atomic bonds by measuring the distinct vibrations made by a molecule. According to them, the laser pulses slowly deform the bonds that hold the iron complex together. Once those bonds are broken, the carbon and oxygen atoms break away from the iron atom and form the CO2 radical. “The formation of the carbon dioxide radical within the iron complex changes the bonds between the atoms, which reduces the frequency of the characteristic carbon dioxide vibration,” says study author Straub. Laser pulses are not suitable for large-scale conversion of inert CO2 due to their tremendous energy requirements. The researchers are looking for a cheaper way to create CO2 radicals. Still, Dr. Vöhringer believes his team’s findings are a big step towards commercial extraction of carbon dioxide from the atmosphere in the future. Visit Discoveries.news for more news on finding and developing alternative energy sources.